Ethiopia has deported British journalist William Davison because of accreditation issues. The news agency says Davison, a Guardian reporter who previously worked for Bloomberg, was deported Wednesday after being detained for a day at a police station. Davison is now in Britain and said on Facebook that Ethiopia refused to give him accreditation after he stopped working for Bloomberg and began working for The Guardian. "What my treatment demonstrates once again is a lack of appreciation of professional journalism and a failure of various government institutions and officials to follow established procedure in anything like a transparent manner." Davison says he was not told of the specific reason why he was deported. But he said in his Facebook post that "I have been on a Tourist Visa since Feb. 13, and an Immigration official declared that I was not a tourist." The Associated Press reports an Ethiopian official said Davison was kicked out the country because he did not have any foreign media affiliation. "I'm not aware that he has submitted a new accreditation with The Guardian," Mohammed Seid said. "We have been treating him like all the other reporters when he was a Bloomberg reporter, but now he has no accreditation with any other media outlet ... so he can't produce reports from within Ethiopia." 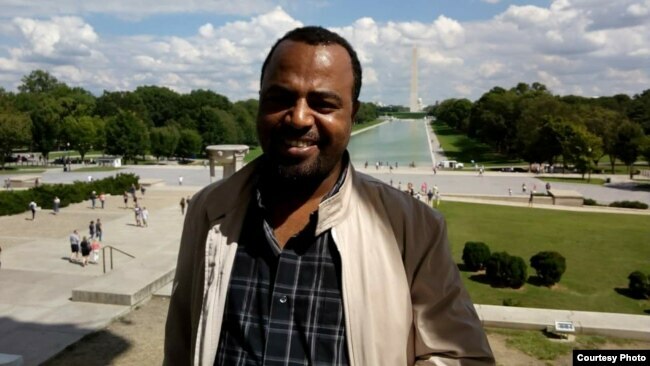 Also in Ethiopia, blogger Seyoum Teshome has been detained, the Committee to Protect Journalists reports. Ethiopan blogger Seyoum Teshome is seen in an undatd photo. CPJ said Friday the blogger was arrested Thursday by security forces at his home. No reason was given for his arrest. The blogger has been critical of Ethiopia's six-month state of emergency that was declared in February. "Ethiopia cannot again use the cloak of a national emergency to round up journalists and stifle critical voice," said CPJ Deputy Executive Director Robert Mahoney. "This is the second time that authorities ignored due process to detain Seyoum Teshome. He should be released immediately and unconditionally."